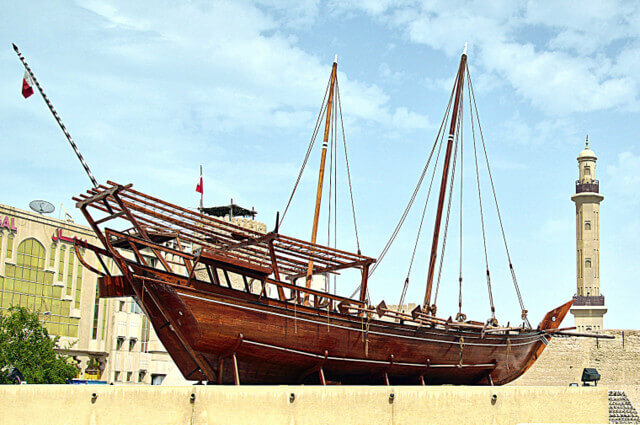 A Dhow is a traditional wooden boat that dates back to 600 BC that was historically used throughout the Middle East for trading. They typically sport long thin hulls, and were used to carry heavy items between Arab states (like fresh water fruit) and countries like Pakistan, India and Yemen. They were also used for pearl diving, but in recent decades have been replaced by more modern vessels. Having played such a crucial role in the history and evolution of the gulf, these iconic boats have been repurposed for tourism, and while no longer used for trade, visitors can board historic boats for a dinner cruise across Dubai Marina. 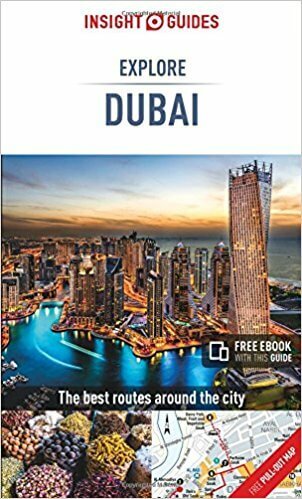 Why Should You Visit Dubai Marina? Taking a dhow dinner cruise is one of the highlights of Dubai Marina. In the 90’s many of the larger vessels were refurbished and converted into floating restaurants, and this is what kick started the tourism craze of dinner cruising. An artificial canal city, the Marina is built along a two-mile (3 km) stretch of Persian Gulf shoreline. It is a hub of modern culture, with restaurants, hotels, luxury shopping, and craft markets that line a waterside promenade walk. Upscale yachts cruise through, and on top of taking an authentic dhow dinner cruise, you can choose from activities that range from jet-skiing to skydiving, or visiting golf courses or waterparks. And while the canals are man-made, there have been many instances of marine wildlife (especially whales and sharks) entering the marina, because of its proximity to the open sea. While there are over 30 dhow boats within Dubai Creek (the old part of town), Dubai Marina offers a much more intimate experience, with only 8 dhow boats that float through the marina. The dhow cruise experience from Dubai Marina includes your dinner and evening entertainment. Each company has different offerings, so it’s important to choose a package based on what type of experience you want. Originally, belly dancing was a common form of cruise entertainment, though the Dubai Government has been slowly been replacing this with ‘Tanura’ – a traditionally Turksih dance that is usually performed by a male dancer that is spinning in a flowing and elaborately decorated dress, creating a very interesting sight. Typically upon boarding you will be presented with services such as chilled juices or soft drinks, a mouthwatering buffet, soft music and other types of entertainment. 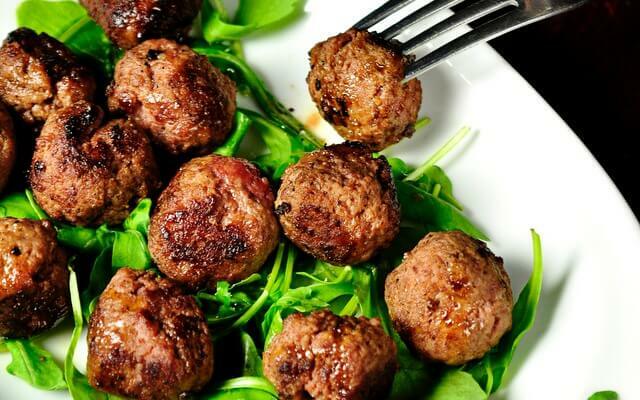 Dinner is typically Middle Eastern / Arab cuisine, though check each individual cruise as this will differ. The menu for a cruise should be listed on their website. 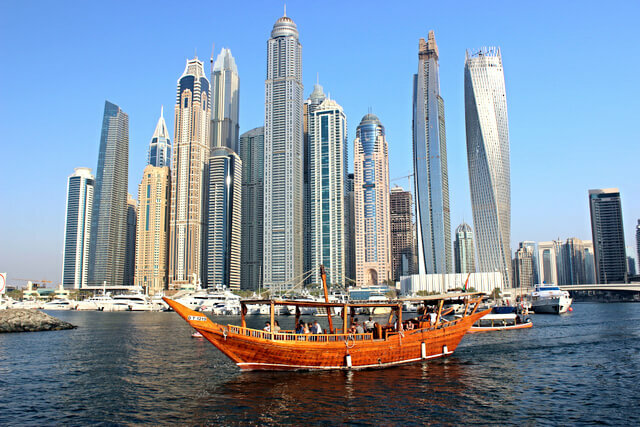 When it comes to things to do in Dubai, taking a Dhow Cruise in Dubai Marina makes for fantastic sightseeing. I’ve been to Dubai many times, but not taken a Dhow cruise. Seems pretty touristy to be honest, but might see if I have spare time on my next business trip. 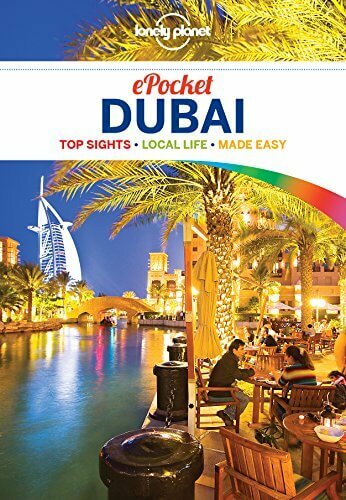 Dubai is on my list! This would be a dream trip! You board the boat at sunset or later in the evening to see the skyline of Dubai at nightfall. Some of the high-rises are illuminated. You will receive a welcome beverage. The dinner is a buffet mix of Arabic and international food. The staff was great. I enjoyed the sights from the upper, open-air deck. The lower deck is much more enclosed. Right before the entertainment begins; you look at the other boats and say to yourself “My boat is bigger than your boat”. So glad to hear you had a fabulous time Valerie! We did this … you definitely get impressive city vistas from the water. It was a nice trip. It is relaxing, yes. Interesting, no, not really but you get a good look at the skyline from a different angle compared to the bus. Love that they came up with a way to preserve the boats and maintain such a key piece of cultural heritage through tourism, what a clever idea. Otherwise I have no doubt that they probably would have been lost at the bottom of the ocean somewhere, or maybe torn apart to make way for new technology, It really is fabulous that tourism is allowing history and heritage to breathe a new life. This trip was well worth the money. There are many boats that offer buffet cruises around the creek, but Dubai Creek ‘Jameela’ Floating Restaurant Dinner Cruise must be one of the best. Glad you had a fabulous time Asher! Sounds like a dreamy Dubai date night! 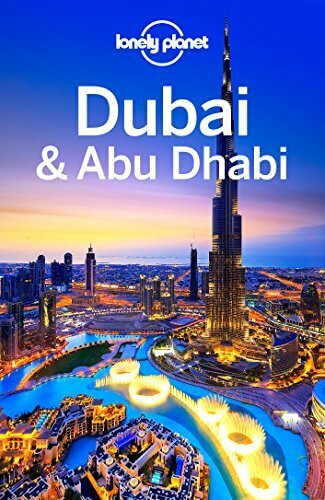 My husband has been coming to Dubai for over 20 years now and I want to travel with him at some stage. He raves about the city, though he hasn’t done much sightseeing. A dinner cruise sounds lovely. We cruised up the ‘Dubai Creek’ taking in all the views. You’re right, there was definitely a lot of traffic in the creek. If I had read this first I definitely would have gone for a cruise out of the marina. Sounds like a cool trip! When were you in Dubai?